The Week in HD – Monday 16th June | What Hi-Fi? Hello everyone, and welcome to The Week in HD – our guide to all the must-see high-definition TV shows, films, sports and Blu-ray releases to grace your screens over the next seven days. 2014 World Cup: One of the most eagerly anticipated matches from the group stages as two European heavyweights go head-to-head in Group G. Can Cristiano Ronaldo inspire the Portuguese, or will the classy Germans claim this one? The Children. 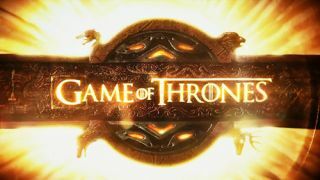 With last week's episode dealing solely with the Night's Watch, there are plenty of loose ends to tie up in Westeros in the series four finale. What of Tyrion, for instance – will our favourite character really be put to death? Be prepared for some major shocks and deaths to end the series. "For those of us climbing to the top of the food chain, there can be no mercy." A deliciously immoral tale of finely-woven revenge and dizzying heights of corruption – this is a political thriller like no other. The highly-praised Netflix Original show is out on Blu-ray, with Kevin Spacey's calculating and scheming Frank Underwood on his way to the vice presidency in the second series. But his plotting, back-stabbing and murdering to attain power is being questioned by those close to him. For someone who upholds absolute trust and loyalty, will another betrayal be the undoing of Underwood? Or will he play another winning hand? 2014 World Cup: It's time for the second round of group games to get underway as the hosts Brazil look to build on their opening win against Croatia. Mexico, however, have also started with three points – can they upset the party? The headline act is none other than Aerosmith, with lead vocalist Steven Tyler and guitarist Joe Perry no doubt taking the stage by storm with their greatest hits. And that's not all. Remember Linkin Park? They'll be performing their breakthrough album Hybrid Theory (released in 2000) in its entirety. As for the rest, you've got Avenged Sevenfold, The Offspring, Bad Religion, Fall Out Boy and Steel Panther belting out rock anthems that'll give your hi-fi and home cinema systems one hell of a workout. Variable and Full of Peturbation. New clone alert! Tatiana Maslany ups her game with the introduction of a clone that questions all the questions raised about cloning, identity and genetic make up. Elsewhere, Donnie, Cosima, and Rachel are all dealing with a post-Leekie world in their own ways. 6:00pm to 7:00pm. Margot's deadline is looming, and President Heller finally lets Jack in on the plan he's set in motion. Will it work out? Without incident – probably not. 2014 World Cup: England will be aiming to bounce back from their 2-1 defeat against Italy at the weekend, while Uruguay will also want a win after a surprising defeat to Costa Rica. For the loser, an early exit beckons. Rob Beckett, Gary Delaney, Sara Pascoe and Josh Widdicombe join the regulars for another episode of mocking the week's news. The 50th anniversary special was a blast the first time it aired; the sheer joy, drama and impact of the episode doesn't diminish with repeated viewings. We finally find out what the Doctor's role in the Time War was, and there are references to past (and future) incidents and guest stars to delight casual and devoted Whovians alike. Besides, who doesn't want to see David Tennant reprise his role and share the screen with Matt Smith? In a dystopian future where children fighting to the death is the biggest televisual event of the year, 16-year-old Katniss Everdeen and her defiance sparks a revolution that brings hope and death across the districts of Panem. Starring Jennifer Lawrence, Josh Hutcherson, Woody Harrelson, Elizabeth Banks and Stanley Tucci. Morton's Fork. Apparently there's a high body count in the last episode of Fargo's debut series, and it's a bloody one, too. Let's hope Lester, Molly, Gus and Malvo are back for a second outing. With David Lynch, Aaron Sorkin and Trent Reznor behind the creation of this film, it's no wonder that this Facebook biopic ended up being so smart, stylish and beautifully scored. Jesse Eisenberg and Andrew Garfield are on top form as the creators of the social media giant – it's a surprisingly thrilling watch.